provided a much needed respite from the London’s sultry heat and lent a reprieve to the London duns for those individuals with pinched purses. Generally, most house parties lasted for three to four days, usually commencing on Thursday or Friday and ending on Monday. This was mostly due to poor and dangerous road conditions which made travel difficult. Another factor was distance. It was hardly worth the travel time if parties were only a night or two when guests had to travel long distances. served themselves, although a footman would be available to help. 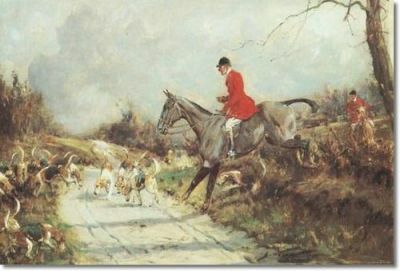 would generally participate in hunting, shooting, or fishing activities while the ladies would retire to their bedchambers to write, gather in a salon to gossip or take walks, carriage rides or ride in the parkland or countryside. bowling, archery, picnicking, or visiting a nearby point of interest. and allowed time for flirtations. before in the drawing room before preceding to the dining room. the hosts would not consider sitting down without all the guests. This could result in guests being served cold or ruined food. and spare stabling for those guests who wished to bring their own horses, there were some things that were frowned upon. For example, children should never accompany their parents unless specifically included in an invitation. The same went with dragging uninvited guests along without first asking your host. Also, it was perceived as bad taste to arrive with a wagon loaded with luggage as most house parties were of short duration. 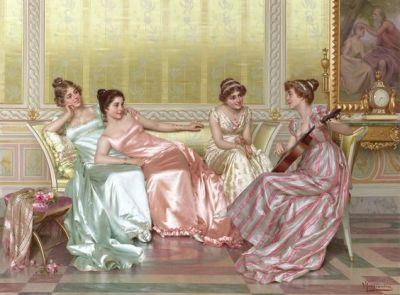 And above all, guests were expected to conform to the habits of their hosts by not getting in the way or putting extra demands on the house staff. Hatch, Donna. 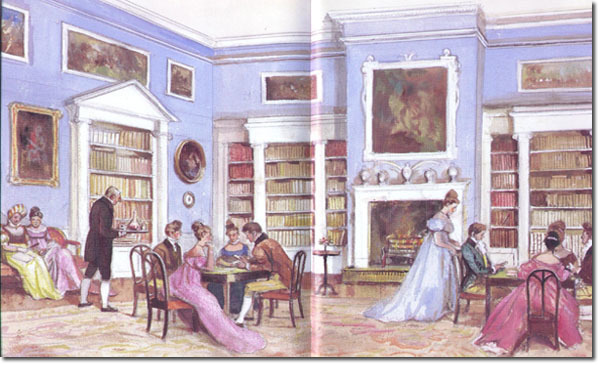 “Regency House Parties.” 21 Aug. 2015. 14 Jan. 2017 . Muray, Venetia. 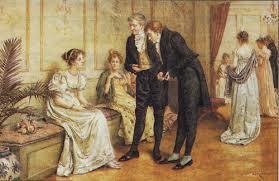 An Elegant Madness, High Society in Regency England. New York: Penguin, 2000. (pp. 230-235).